The first group I guided round the Alps by myself was a rowdy bunch of Israeli pilots looking for big distance XC and a taster of the French Alps. 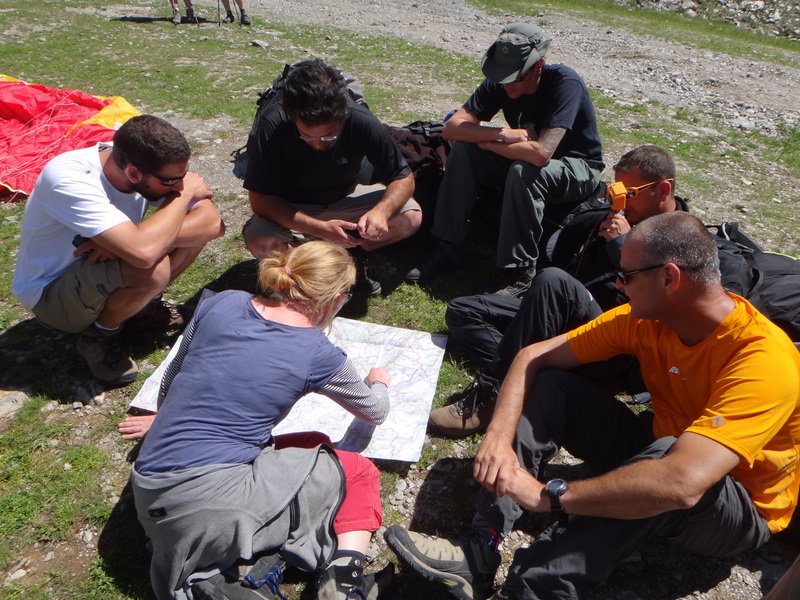 I’ve worked and played with some of the best guides of the Alps over the past year. They’ve helped me get to know these mountains and given me a great foundation for my own guiding work – and also given me high standards to live up to! Straight off the back of two weeks working on Passion Paragliding‘s Alpine XC Adventure, I headed back to Annecy in the rain. 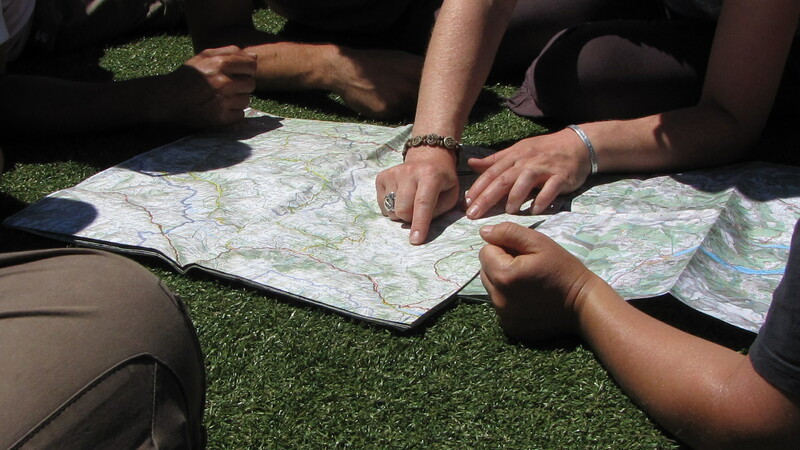 When I found my group I was relieved – very welcoming and not too scary! They were as keen to escape the rain as I was, so we wasted no time and headed towards Laragne, with the hope of an evening flight on the way at Aspres if the clouds behaved themselves. As we approached St Hilaire, there were wings in the air. With thunderstorms further south a possibility, I seized the opportunity and took the guys up for a flight. St Hilaire is a stunningly beautiful place with waterfalls cutting through the awesome cliffs and the funicular railway running up between the two take-offs. Even so, I was nervous as I went to meet my group in the landing field after a slightly extended top to bottom. But it’s hard not to be wowed by your first flight there and even my XC hungry bunch were grinning from ear to ear. At Laragne, with the Ozone Chabre Open happening, the task for my group was simple: outfly the comp. So I briefed the competition task with a couple of extensions. The clouds growing behind me gave me the perfect opportunity to talk about mountain weather and the need to be ready to adapt your flight plan, then we were off. As the clouds grew over one of the competition turnpoints, the task was stopped to prevent 70 keen competition pilots disappearing into the white room. A quick chat with local expert Rachel of Allez-Up confirmed my view that conditions elsewhere were still good, so I updated my group over the radio. A couple chose to land immediately, some continued to scratch their way to the deck an hour’s walk from the nearest road, while Chino, playing catch-up after initially taking off with a knot, outflew everyone, landing miles from nowhere. Back at base, the big clouds put me off trying for an evening flight at one of the local sites. Buc, off to the west seemed like the best option. But it was no sure thing – I suggested we had a 50% chance of flying. Just over half the group took me on the chance and were treated to a couple of hours boating around in smooth evening lift until the sun set. The next day, with stronger winds locally, I took Israel to St Vincent les Forts, one of my favourite sites. Today’s task was a 50km route to St Andre les Alpes, one of France’s XC gems. The strong conditions, both in terms of thermals and the high level wind, weren’t to everyone’s tastes and three of the gang headed back to base. Meanwhile, Chino and Gal turned south. Helping each other through the first part of the flight, all looked good. Together, they weathered the battle zone, leaving just one last climb to put them in easy reach of St Andre. But it wasn’t to be. 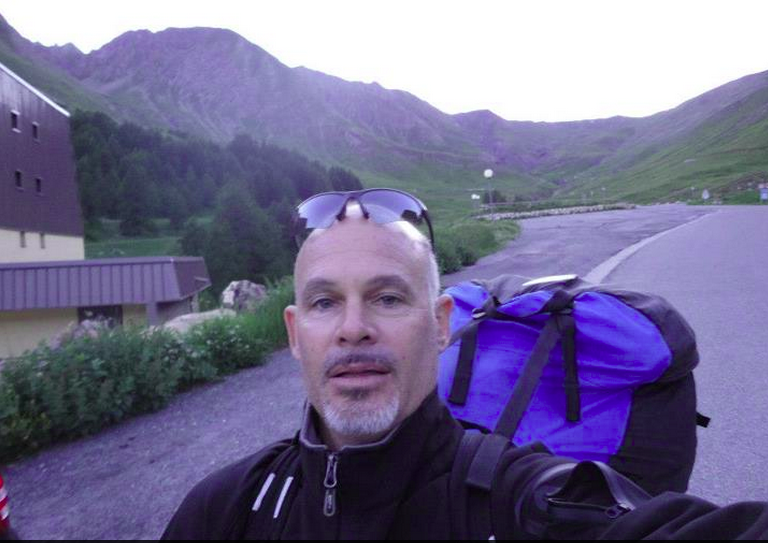 Choosing the most remote valleys they could, they landed safely at the foot of Cheval Blanc. Chino, not sure of his GPS coordinates, gave me the next best thing – the phone number of the hotel he’d landed next to. Thankfully, the proprietor thought nothing of some a random English girl calling him to get the address because her friend had landed in the garden! I was soon on my way to round up my flock, somewhat frazzled by the full power conditions of the southern Alps, but awed by the flight they’d just achieved. Heading for home, I was surprised to get a text from Benny, last seen struggling above launch, saying he was just short of St Andre. But what I first took to be a joke, turned out to be true! Benni’s determination and patience had paid off to give him the “flight of a lifetime”! Despite him having landed just a few km away from where we were, the small mountain range between us meant we were at least a two hour drive away, so he set off hitching for home as we drove the same way. With my eyes drooping as I dropped Chino and Gal off, Avner agreed to go find his friend. Relieved to simply take the role of navigator for I while, I jumped in the passenger seat. Eventually, over a deserted mountain pass, in the very last of the daylight, we found a delighted Benny. With hugs and congratulations done, my pilots safe and sound, I crawled into the back seat to sleep through the drive back to camp where dinner was being served and wine was flowing. The next day, despite my optimistic late night weather forecasts, conditions weren’t right for a much anticipated trip to St Andre. So, after a severe telling off for Israel from the campsite reception for their over-exuberance in the small hours of the morning, we slowly prepared ourselves to head back to take-off at St Vincent. But just as we were leaving, a text message brought the tragic news of the death of a friend and fellow pilot in Israel. With all thoughts of flying forgotten, my group quickly decided to head back to Annecy and friends there. 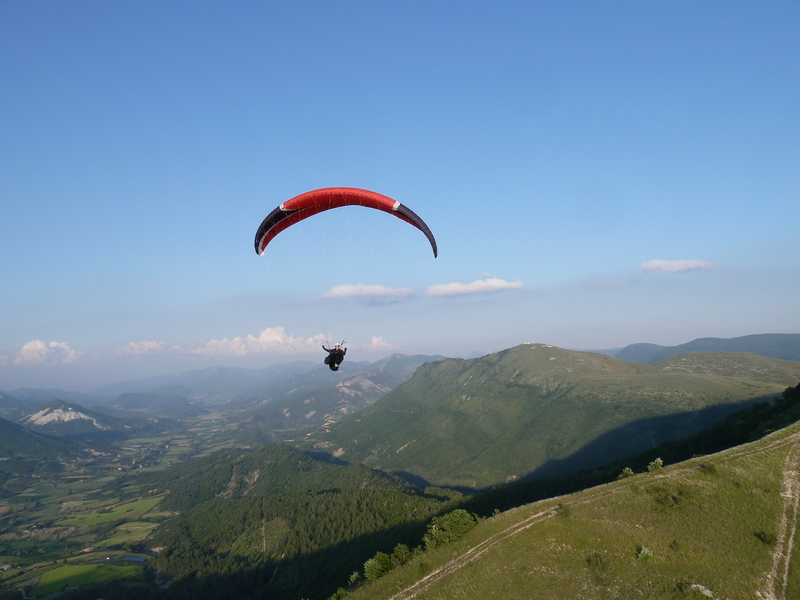 This is the way we would fly back to Annecy if the clouds were higher! Regrouping a couple of days later, the group wanted to make the most of the last few days of the trip, so we headed to Chamonix to attempt the route back to Annecy. The weather was against us, so as well as the route home, I briefed a couple of possibly more achievable tasks to occupy the group. Three of us made it out just beyond Passy, but the low cloud base and late start to the thermals had us down after about 20km. As Gal and I chose nice fields next to a main road, Chino, true to form, selected a field where the “power lines cross over the river, next to the motorway” – a description that could cover most of the valley. An hour of searching later, we found him. 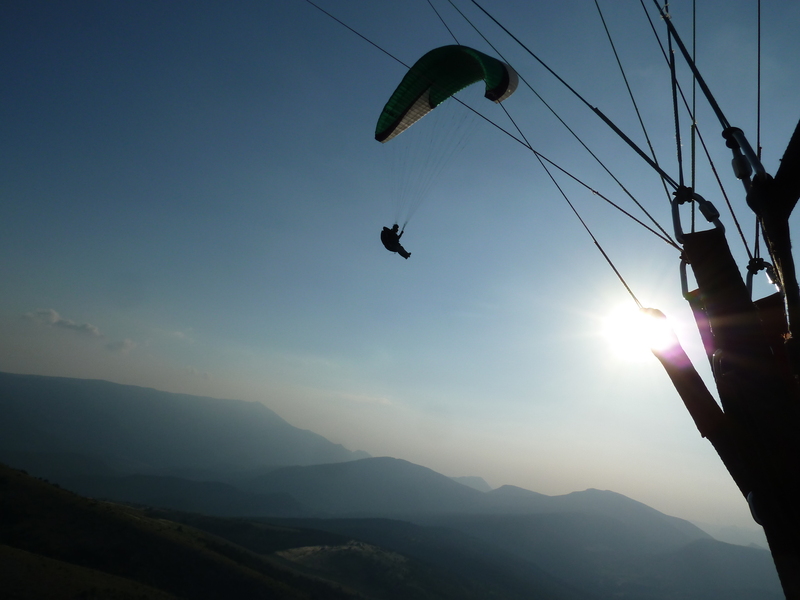 But it’s hard to be annoyed with someone who’s grinning from ear to ear because of their flight, so after a little gentle teasing, we headed back to Annecy for a final evening flight to round off an amazing and eventful week. I sadly said goodbye, happy and somewhat relieved that things had passed (relatively) uneventfully. Of course I learnt things. 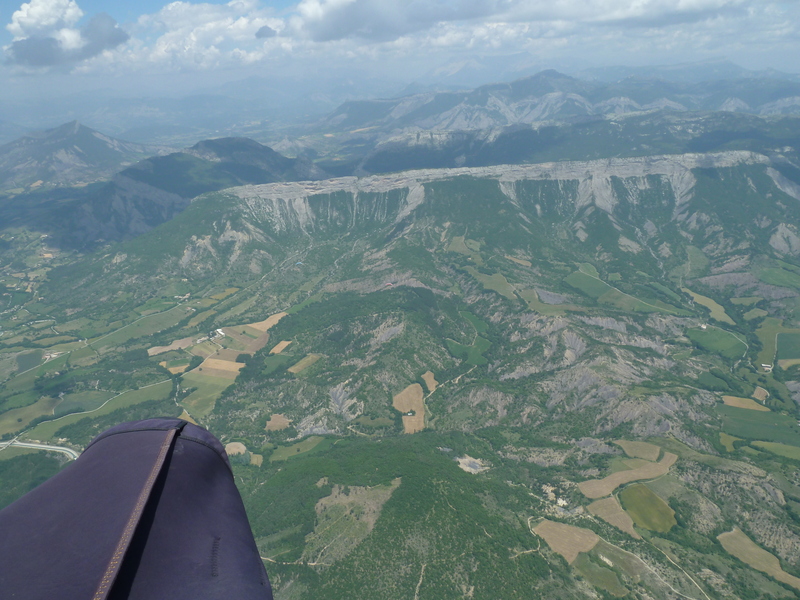 Don’t be afraid to state the obvious – I remember my first time in Annecy with Matt Pepper talking through valley winds, anabatic winds, meteo winds and other local conditions you get flying in the Alps. I remember when I didn’t know what a gust front was. These are all second nature to me now and it’s easy to forget there was a time when they weren’t! Just because a pilot has more hours than me, that doesn’t mean they know about Alpine conditions and how to fly XC in the mountains. But that was what was great about this group. I was honest about my experience, that several of them had substantially more hours than me. But they knew how much there is to learn about flying in the mountains and that’s what they wanted from me. I also realised that it’s an incredible amount of work for one person! There’s a reason why guides normally employ drivers. It is possible to do it alone, as I proved. But I think it’s better for a group to have a separate driver so the guide is free to give quality air-to-air guidance. And yes, I am capable of working from 8am to 11pm, day after day. But I’m no iron woman, and it definitely helps to have a bit of support! But I couldn’t have got here alone – huge thanks have to go to Irwyn at Maison du Moulin in Annecy, Toby of Passion Paragliding and David and Rachel of Allez Up in Laragne for all the experience and advice, which helped me get a rowdy bunch of Israeli pilots to experience some of the best sites in the Alps.